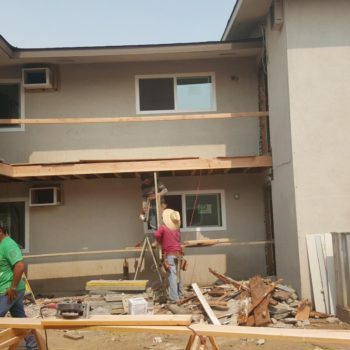 New Student Housing Opens West of Fresno State | United Development Group Inc.
After nine months and around $2.5 million dollars spent rebuilding a run-down apartment complex, new student housing will be available for the rest of spring semester just west of Fresno State’s campus. University Place, located south of Barstow Avenue between Millbrook Avenue and Fourth Street, will offer fully furnished housing for students, with Wi-Fi and all utilities included in the rental price. 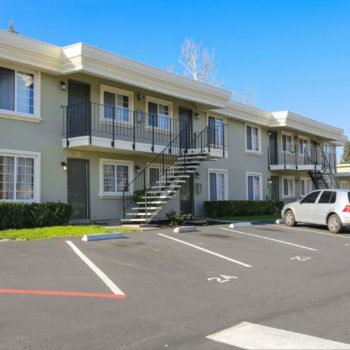 San Diego-based United Development Group, which is run by property developer William Ayyad, bought the complex in May 2015. There are two main floorplans available, both with two bedrooms and two bathrooms. The complex is limiting its tenants to students, said Melissa Pedro, a United Development business team leader. Each bedroom is equipped with a desk, ceiling fan and two beds. The per bed cost is $400 per month, if a student chooses to share a bedroom. If students opt to have their own bedrooms, the cost is $800 per month. The property has a limited number of garages available for rent as well, at $75 a month. When the developers first looked at the property, it was a complete mess, said Darla Rasmussen, a regional property manager at United Development Group. Rasmussen oversaw the project to build University Place. There were many bumps along the road, Ayyad said. He added was thankful for the support and assistance offered by community leaders in El Dorado Park, the neighborhood where University Place is located. In addition to the regular amenities offered at many complexes, University Place includes a community resource, a “Bulldog Chill Zone,” which features a pool table, flat-screen TVs and a study area with a treadmill. For students not wishing to have to buy appliances, the complex offers accessorized units which include coffee makers, toasters, tableware and more. This article was published by the Collegian on February 17, 2016 and was authored by Razi Syed.